Nina, a 2-year-old girl, was attending her third preschool after being kicked out of the previous ones for biting other children. Guess what? She’s biting kids at this preschool too! This time the teachers called in Mary, a professional in child psychology, to observe Nina’s behavior and hopefully discover a way to change her habit of biting other kids. After watching Nina over a few days, Mary realized that Nina only bit children when they came close to her when she wasn’t expecting it. If the children were making noise or talking to her as they approached, she did not bite. Mary sat down with Nina’s parents to find out their ideas about what might be going on. The parents were very embarrassed by Nina’s biting and also puzzled because she didn’t do this at home. As Mary spoke to them, she noticed they both wore glasses and asked them when they had first needed glasses. Both parents had needed glasses when they were fairly young. Mary suggested they get Nina’s eyesight checked out. 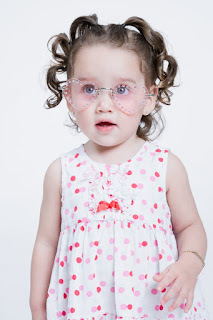 They learned that Nina’s eyesight was very poor and she needed glasses. Interestingly, getting glasses also solved her biting problem. Once Nina could see the children who were approaching, she no longer felt threatened by their sudden appearance and she stopped reacting by biting. 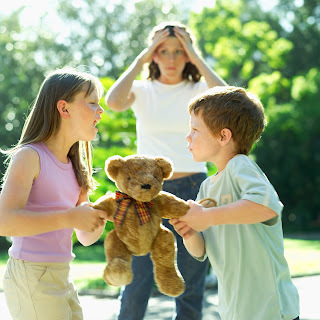 When you can figure out the reason behind a child’s misbehavior, you are in a better position to solve it. 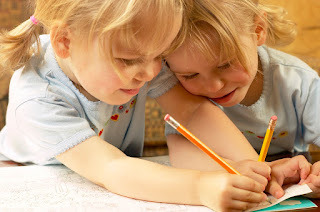 The more puzzling the behavior, the more you’ll need to spend time carefully observing when the behavior is occurring and considering what factors might be contributing. A mom told me how terrible she felt when her own parents made negative comments about her parenting. For example, they noticed that her 3-year-old didn’t always pay attention to what she said and they thought she should be disciplining her child for that. Although she didn’t agree, she also felt shame that her parenting wasn’t as good as it should be. Researcher Brené Brown has discovered that parenting is an area that easily triggers shame. Once you feel shame, you are not in a place to do your best parenting. What’s the solution? 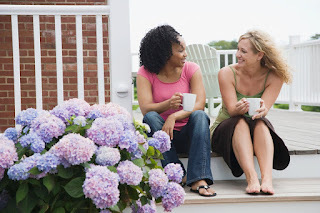 Sharing your story with someone who can be empathetic certainly helps. Having a good friend or two that you can rely on is so important. When you hear negative comments about your parenting, share your story and know that you are not alone. One mom wrote that she should have known better than to think she could sit down for a few minutes while her 2-year-old twin daughters played nicely together. When she got up to check on the girls, her pleasant feelings were quickly smashed as she saw black marker scribbles on the rug and dining room floor. She had explained multiple times that crayons, pens and markers were for paper only. The girls knew that writing on walls, floors, furniture, clothes, or skin were all off limits. However, the fun of doing those things was apparently too much to resist. The girls broke into tears when their mom told them that choosing to draw on the floor also meant they chose to go to timeout. Some parenting experts claim that children that young cannot learn from a timeout. However, when my young son drew on the floor and also earned a timeout, it was the last time he ever did that. Hopefully these girls will only be drawing on paper from now on! Kids don’t always know how to ask for what they need so sometimes they ask in inappropriate ways. For example, a child wanting attention may scream or push a sibling knowing that this always gets your attention. While this certainly gets attention, it’s not the positive attention that asking for a hug or asking to be held would have achieved. Psychologist Alfred Adler taught that all behavior has a purpose. The trick with kids is figuring what the purpose is behind their misbehavior so that you can help them find healthier ways to achieve their goals. One teacher found that asking kids about their behavior worked well. If she saw Kara pinch Anna she would comment, “I noticed you pinched Anna. What is it you are trying to tell her?” Most of the time kids like Kara would be able to give an explanation like “I want Anna to play with me.” The teacher then brainstormed with Kara other ways she could let Anna know this. Next time your kids are misbehaving, try asking them what they really want. They may not know but just asking the question can help them start thinking about better ways to achieve their goals. When children are having a meltdown, their emotions are in control and their bodies are getting flooded with chemicals like adrenalin. At this point it is hard for them to think or process anything you might say. However, before they’ll be able to gain emotional control, they’ll need to get their thinking engaged and focused on more positive thoughts. By practicing saying these statements every day, your children will have them on the tip of their tongue when they most need them! How do you know when your kids are becoming too attached to their technology? One mom knew when she asked her son to turn off his Xbox game and instead of turning it off, he shoved her. Being pushed was a big red flag for her since he was normally a cooperative kid. After a family meeting, they decided to have no TV, movies or computer games from Sunday evening until the following Friday evening. She says their home is much more pleasant with this new rule. 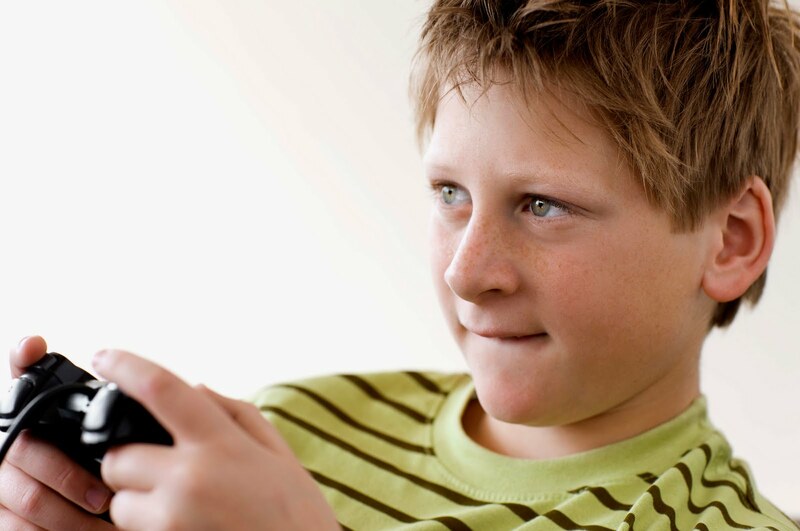 Young kids becoming addicted to video games is a problem across the world. An international study of video gaming among kids found about 9% of children in grades 3 - 8 were pathological gamers - resulting in depression, anxiety, social phobias, and lower school performance. As with all potential addictions, it’s much easier to control the behavior before it becomes a full blown addiction. If your kids are starting to show signs of being too attached to their technology, it’s time to make a change. When your children misbehave in public, how do you feel? Most parents report they feel embarrassed, angry or frustrated. It’s hard to parent your best when you’re feeling like that! Dena explained that giving her young children brief time outs worked well at home. However, the same idea failed miserably one day when she was shopping with her 5, 3 and 1-year-old children. 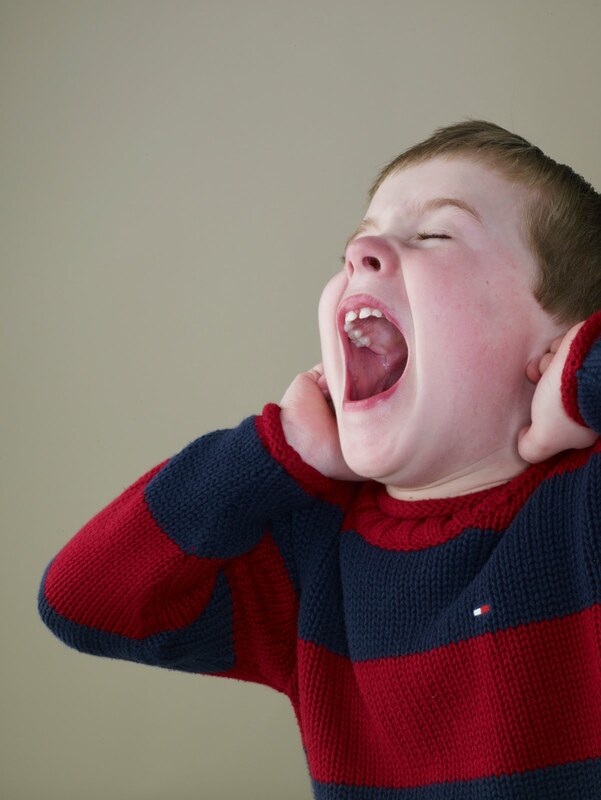 When Dena told 3-year-old Ryan that he could not have the sugary dinosaur cereal he wanted, he began screaming. She tried distracting him by pointing out a special display. When that didn’t work, she took the kids outside and had Ryan sit on a bench while she and the other two kids looked at the display in the window nearby. She tried ignoring Ryan but then he got down and started banging his head on the ground. Dena quietly went over, sat Ryan back on the bench and walked away. Again he started banging his head. She went back over and said "You need to stop banging your head. You're going to hurt yourself" and put him back on the bench. As she walked away he came running behind her screaming, throwing an even bigger tantrum. A mom wrote "What can I do to help my 3 1/2 year old daughter deal better with her frustration? She often releases her frustration by hitting, stomping her feet and screaming. We use time out as consequences to this behavior, but I'd like to be able to teach her how to deal with it herself rather than punish her. We've tried telling her to take deep breathes and count to 10, but so far that hasn't worked. She gets frustrated very quickly when she struggles to do something like getting dressed or getting a toy to work." Your daughter is exhibiting typical 3-year-old behavior. Both my kids had plenty of frustration fits when they were that age. One skill all kids need to learn is how to get a grip when things don't go their way. What worked best for my son was giving him some time and space to recover. He figured out how to calm himself down and when I tried to help it only made matters worse. It can also help if you show empathy by guessing at what she’s feeling and why (“You seem really frustrated. Is it because trying to put your doll's clothes on is so difficult?) If you guess right, she might initially express even more of that emotion but then she will likely calm down after she feels heard and understood. 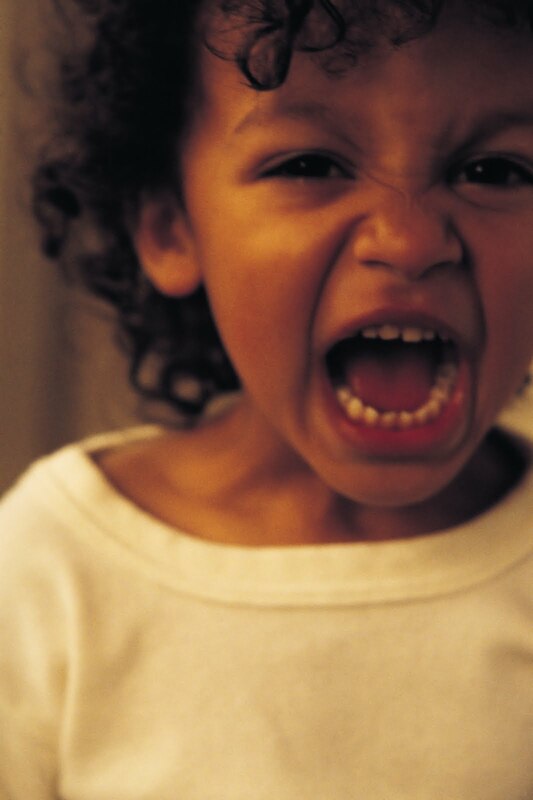 Children develop enough emotional regulation to not have tantrums somewhere between 3 and 5 years old. I definitely found the preschool years to be the most challenging parenting years … but all your hard work will pay off!